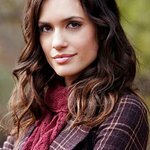 Torrey DeVitto will be performing at the New Horizons Havana Nights Gala in Burbank on Saturday. She sat down with Look To The Stars prior to the show to talk about what the charity means to her. You’ll be performing for New Horizons at their Havana Nights Gala! What will you be performing? I am performing the song ‘Besame Mucho’ on my violin with piano accompaniment by Erik Nye. What motivated you to be a part of this special evening? When I heard what New Horizons was all about and learned about their goals and objectives with these incredible individuals with special needs, I was instantly in. I love what they’re all about. It seems as though life and family are important to you based on the causes you support, which include family adoption and hospice care. Explain why advocacy for people with developmental disabilities is important to you and how it fits in with your overall view on the life experience? I think every human being should be given an equal chance at a wonderful life. Everyone has something beautiful and unique to offer and nothing should ever stand in the way of that being acknowledged. I have worked with people with developmental disabilities and my sister works at a special needs school. The reward and love you receive from being around these individuals is priceless. I always walk away with a new outlook on life and a heartfelt feeling. There has been an increase in the number of actors on television with developmental disabilities. How do you think this diversity affects viewers and others with developmental disabilities? I think it’s amazing! It’s like what I said before, that everyone should be given an equal chance and everyone has something special to offer. What ignited your passion for individual life experience and the ending of life? I stumbled upon hospice randomly and dove into the training without knowing much about it. Instantly I fell in love with it. The notion that “No one dies alone” was so beautiful to me and one I knew I needed to be a part of. There is no difference to me helping those coming into this world and those going out. It is equally important and should be treated as such. End of life care is something I will always be involved with. You are also an animal lover; how does your support of animal adoption and kindness to animal advocacy fit in with your passion for life? I love all creatures with a pulse. As cheesy as that sounds! Ha! I really do. If you’re going to get a pet it is so important to adopt! There are so many precious animals that need a home, and I swear, adopted pets know it. They know you rescued them from something. My little pups are the most luscious, loyal, sweet babies ever. If I had a farm I would have a lot more! What inspires you and your wide ranging philanthropic and humanitarian endeavors? When something resonates with me, I have a hard time letting go of it. I am a very all-or-nothing person, so when I get involved with something I go all the way. I get inspired when I know I want to be hands on. When I know I want to be there in person and do whatever is needed of me. I get so excited when I find something I love and am passionate about. Congratulations on your success with Pretty Little Liars and your humanitarian/advocacy work. What’s next for you that you’d like to share with your fans? Thank you! I am currently filming a film for The Hallmark channel right now called The Prodigal Daughter and have a couple other fun things in the works that once their ready, I’m going to be excited to share! What advice do you have for your fans regarding how to enhance the last moments of someone’s life and the overall life experience? Just be there with them. The best things in life should be kept simple. Holding someone’s hand in those last moments and showing love are the best things you can do, in my opinion. Life is so short and so precious. Don’t ever let anything, especially anything trivial or trite get in the way of you telling or showing the people that are important to you that you love them. That’s what matters most; love and human connection. Never be stingy with love, especially to those who matter to you. In June my boyfriend and I are going to Rome together. I am so excited! I think we are going to try and travel around to other places as well. I could go anywhere with Rick and be happy, so I can only imagine how amazing going to Europe is going to be with him.